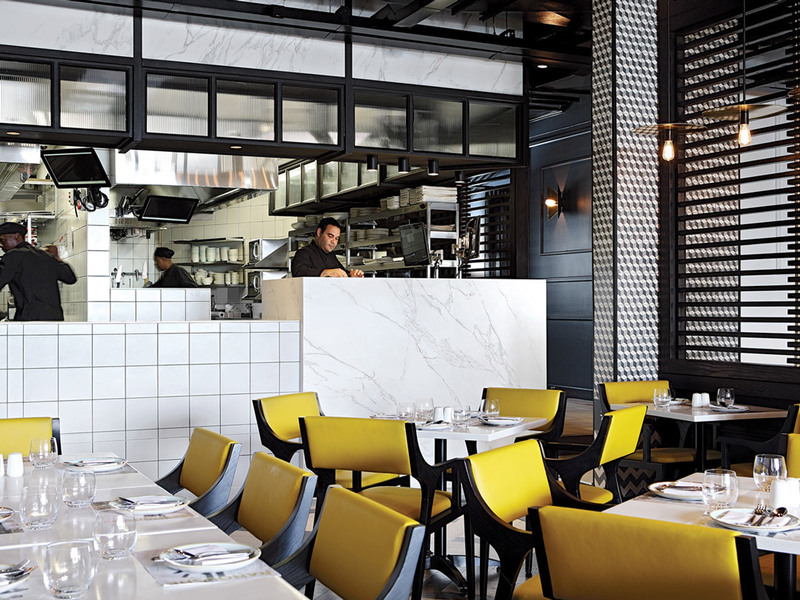 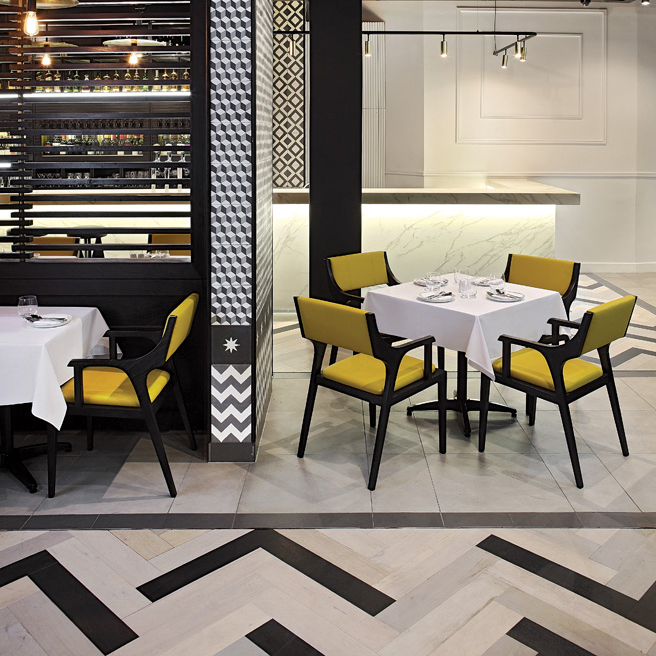 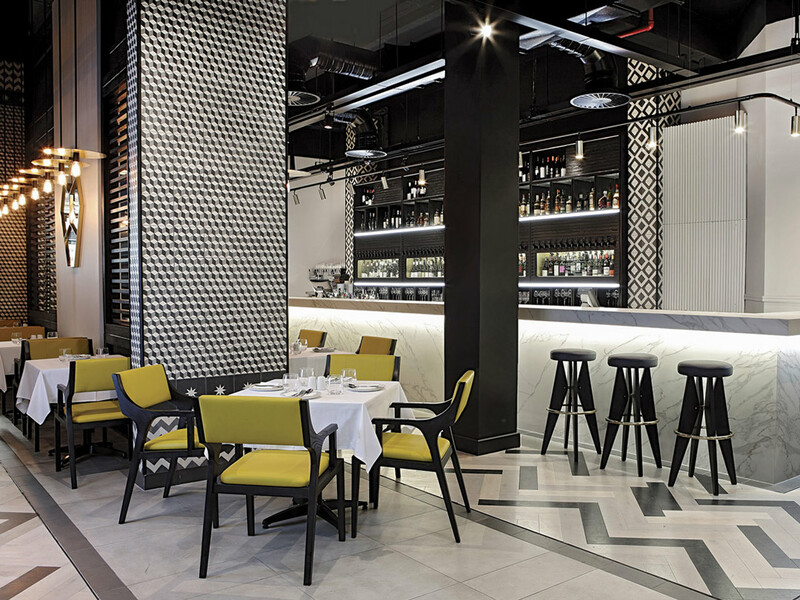 Set along the picturesque coastline of the Atlantic seaboard, this fusion restaurant with Middle Eastern nuances, draws inspiration from Turkish and Moroccan design. 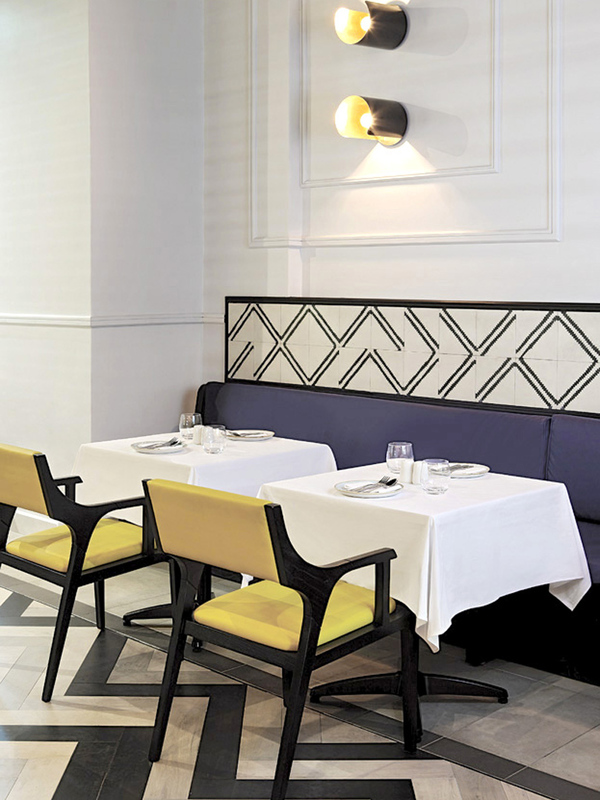 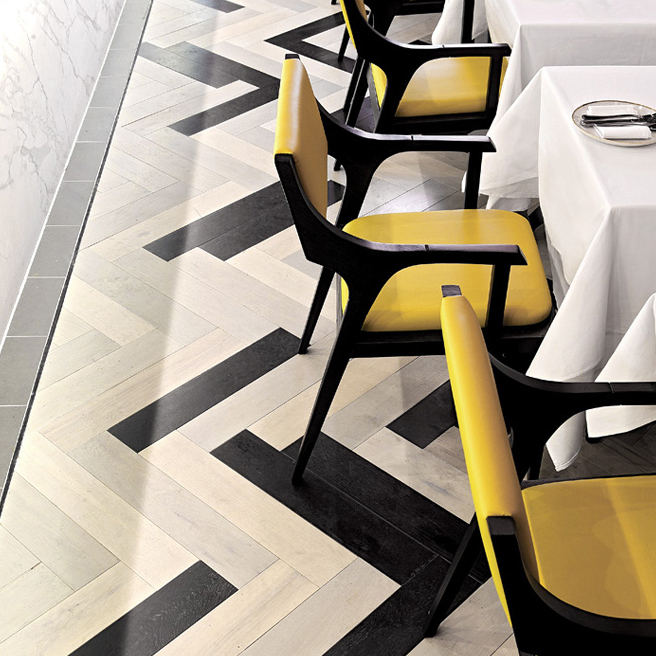 The design features are kept minimal to create a pure graphic in a contemporary sense. 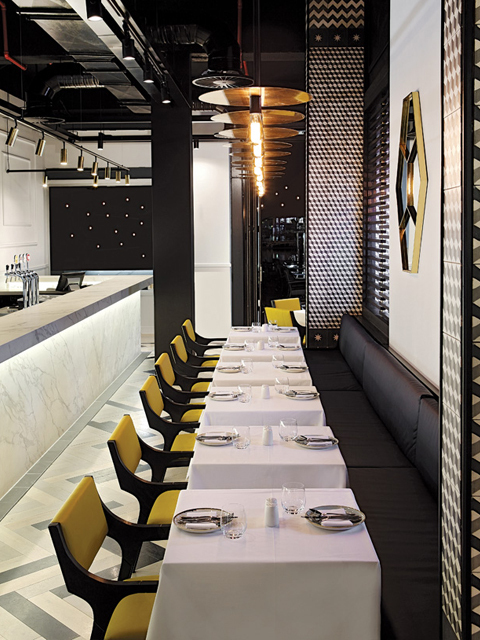 One accent colour is used throughout the interior allowing the black and white graphics to add boldness and texture to the space. 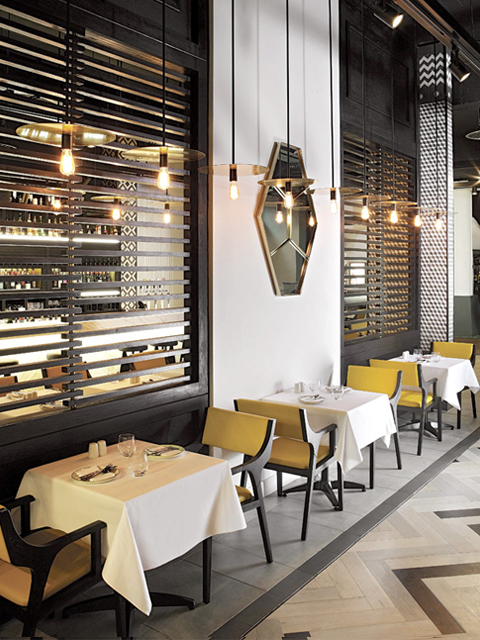 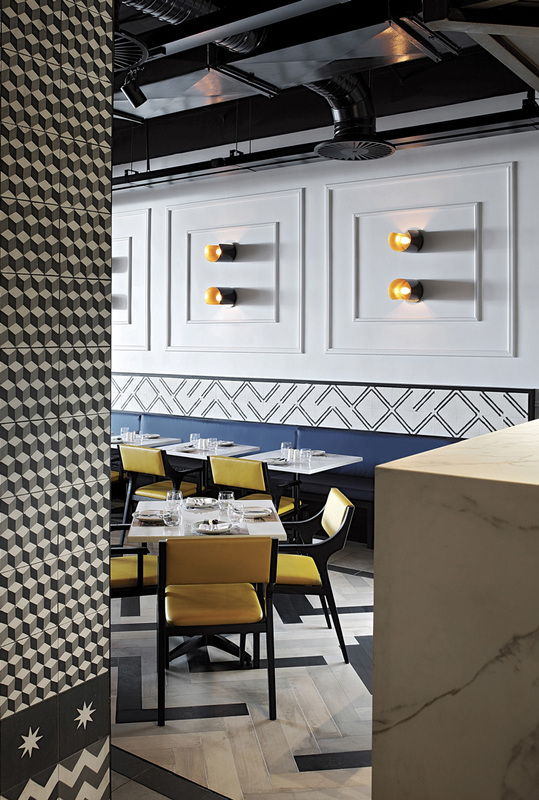 The restaurant has two signature design elements, the first of which is a full height, slatted timber screen which divides the open plan space, while giving a sense of visual connection and transparency to the room. 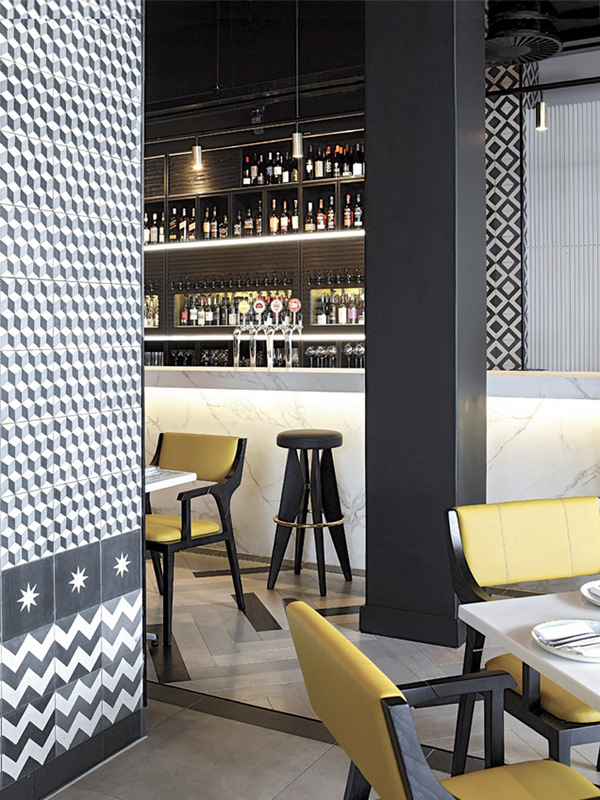 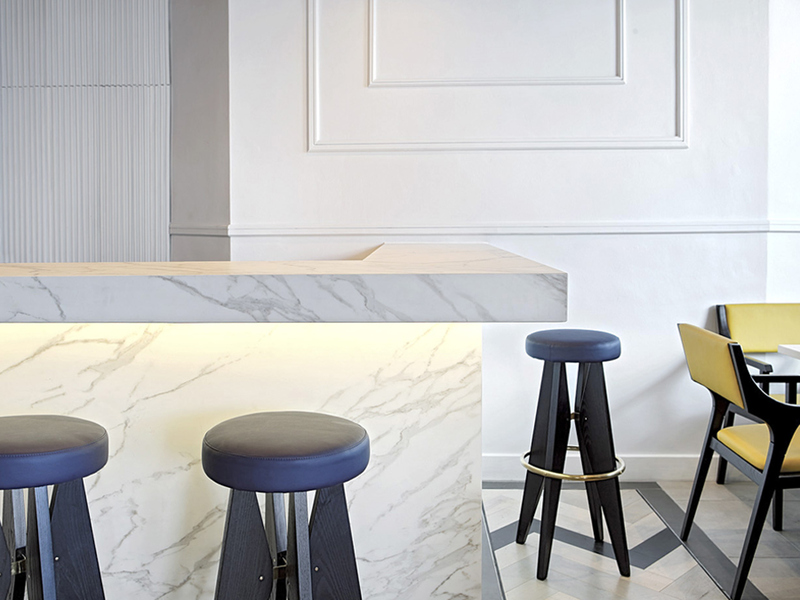 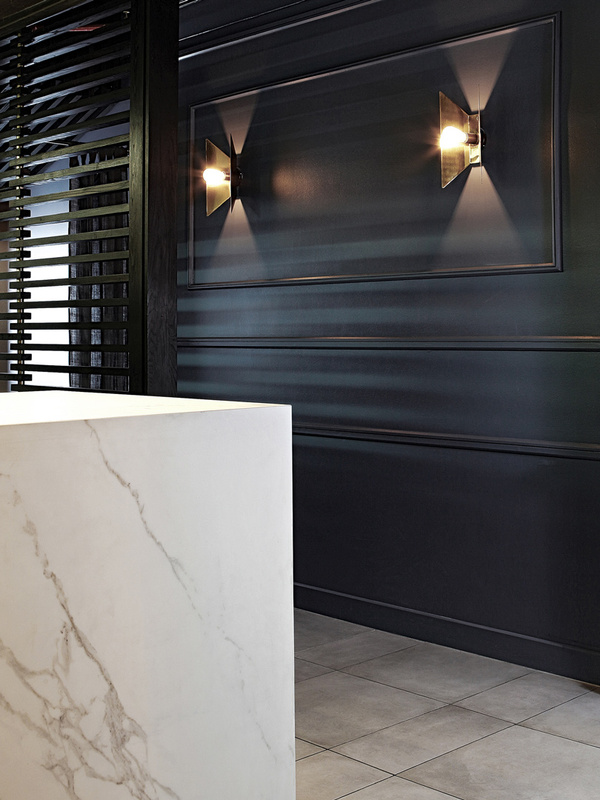 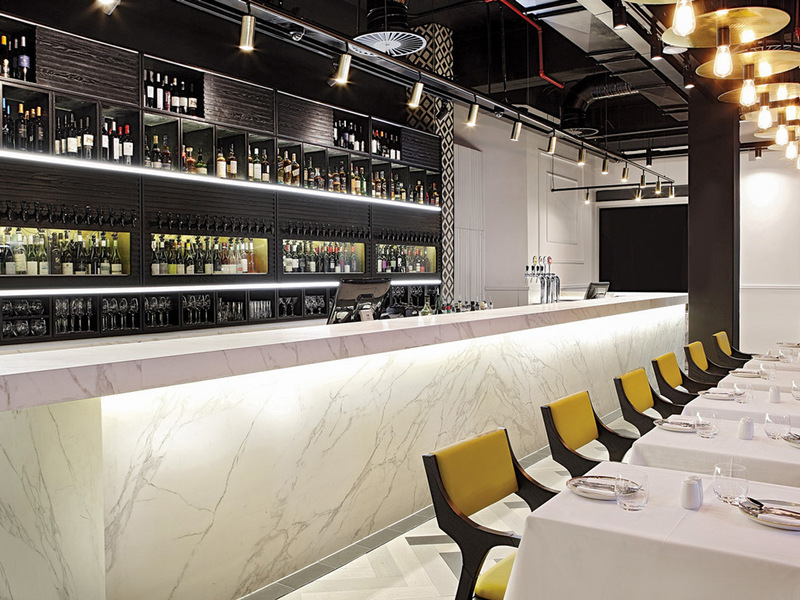 The second is a ten metre long bar which is clad in neolith. 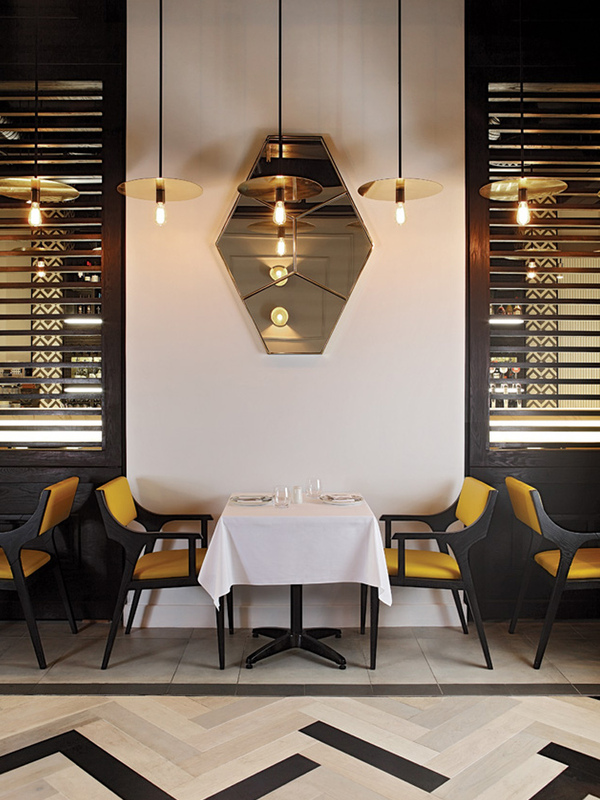 In addition, the restaurant also features several bespoke lighting designs which were crafted by local artisans. 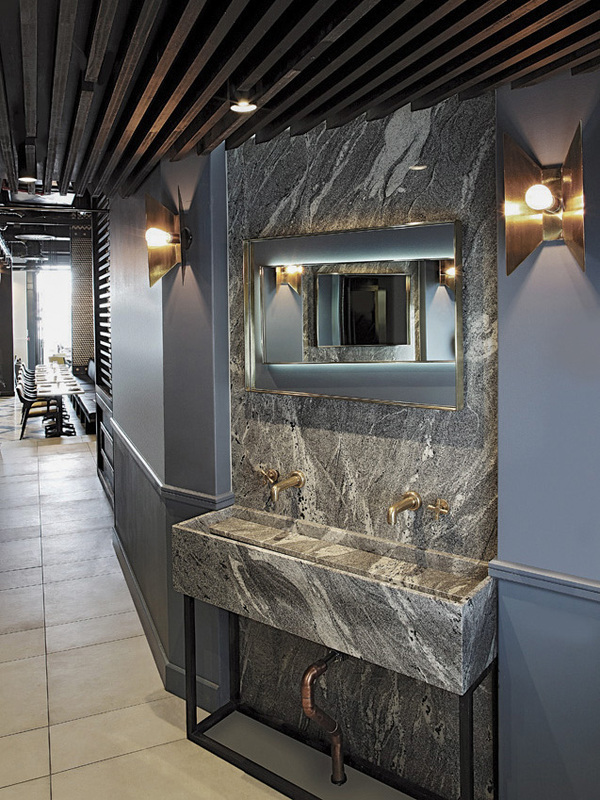 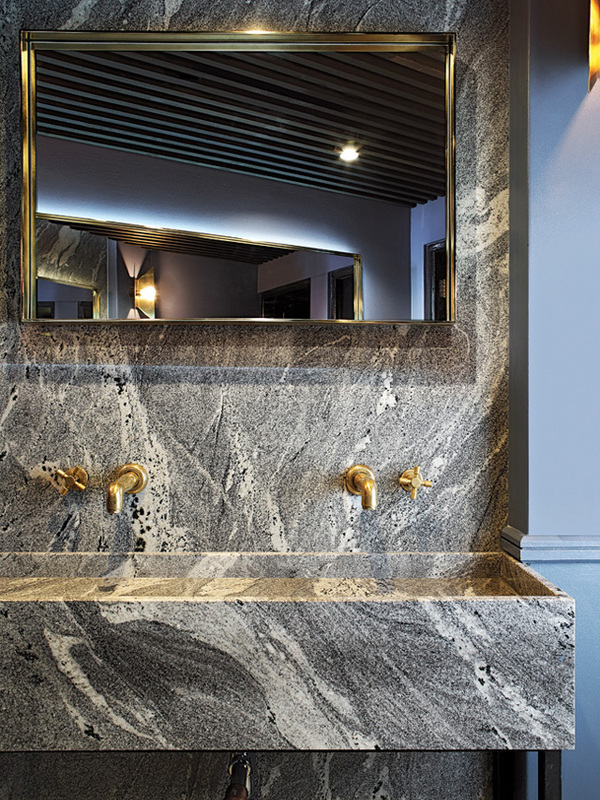 The brass appearance of the fittings bring warmth and ambiance to the interior.